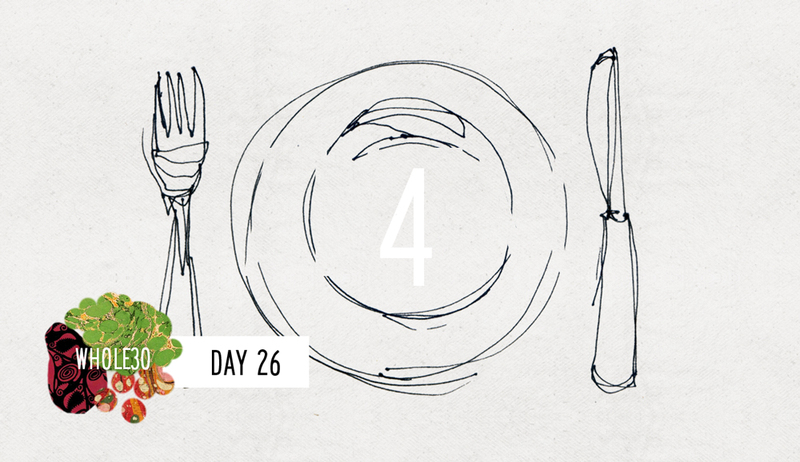 Yesterday was my Whole30: Day 26 and I had a pretty big realization about something. One of my biggest concerns when I first started considering the Whole30 was the hunger shakes. You know when you get so hungry that you feel shaky and you can’t concentrate? That used to happen to me a lot. I would be famished by 11am and if I didn’t eat soon thereafter, I’d start to feel shaky. I thought, there is no way that I will be able to function for an entire 30 days with that feeling. But lo and behold, I haven’t had that feeling once in the past 26 days. Somedays, I realize that it’s already 1pm not only have and I not eaten lunch,but I also haven’t felt that shakiness or lack of concentration that in the past would have signaled that I needed to eat. When I got home from work yesterday, I realized I hadn’t really prepared for dinner. I was going to make the Prosciutto-Wrapped Mini Frittata Muffins, only to find out I didn’t have enough eggs. If this had happened to me pre-Whole30, I probably would have just ordered Chinese or made some eggs on toast. But I had no choice but to go back out to the store to get something to make. In the past, at this point, I would have been super hungry and feeling shaky, with low energy and probably wouldn’t have even considered a trip back out to the store and if I did venture out, I would have probably bought a bunch of crappy food because going into a grocery store while hungry is dangerous. But yesterday, I felt fine. I felt clear headed. I ended up making tuna salad with the homemade Garlic Basil Mayo I made last week, chopped scallions, carrots and celery, all on a bed of lettuce. 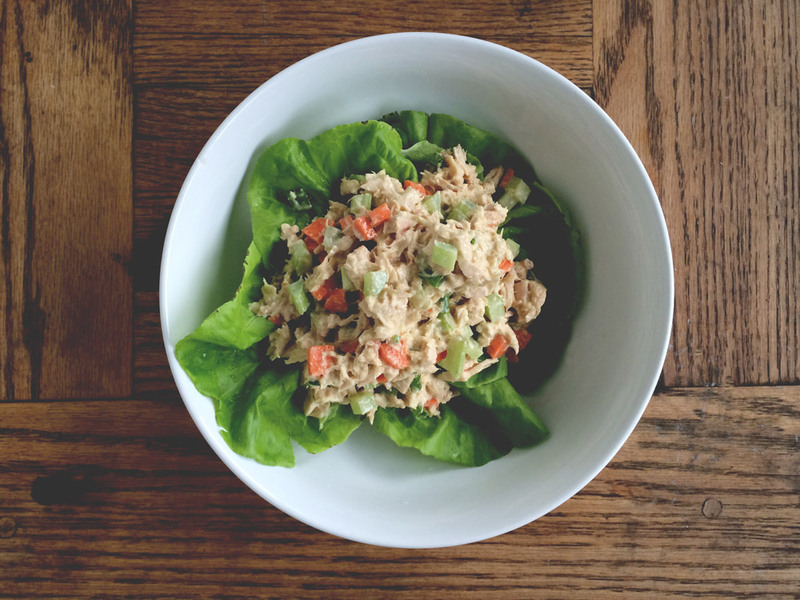 I was actually surprised this was the first time I’ve made tuna salad while on the Whole30 considering I’ve always been a big fan and it’s super simple and quick to make. I have to say though, I was hungry again later in the evening, so I snacked on some carrots and almonds and chugged some water.